Q. Why should I only trust Top College Papers? A. Top College Papers is one of the preeminent academic writing companies with 5+ years of experience. We have a track record of offering the highest quality essay writing services, so we have made a perfection over time with hard work. We do not charge you to believe us carelessly rather we will earn your trust by presenting utmost commitment and responsibility. Q. Are your writers qualified and prepared to handle my academic writing assignments? A. After a rigorous determination process, only those writers who are hold Masters and Ph.D. degrees and have a passion for writing are enrolled into our company. We also guide our writers to update them on any changes that are regularly made in the academic realm. Q. How can you ensure that the material will be free of plagiarism? Q. Do you offer any bargains and discounts? A. Yes, we have various giveaways and discounts throughout the year. They are renewed now and then on our website. Nevertheless, you can also inquire from our customer support representatives who are always online. Q. What if I am not totally satisfied with the delivered paper? A. Our writers work their best to serve all our clients. In the situation you are not entirely pleased with the final paper, you can demand a revision which is offered free of charge. 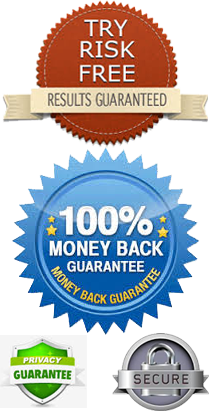 We even provide a money-back guarantee if the paper you receive is not what you ordered. Q. Will my private data be safe with your company? A. We give total confidentiality to all our clients and ensure that their individual information is preserved safely. We do not re-sell or give out any of your information to any third party.